Roofers Club - Roofing Forum > Categories > Ask an Expert > Brown icicle coming from roof soffit? It's a fairly cold week here, -10C or lower all week, plus windchill. 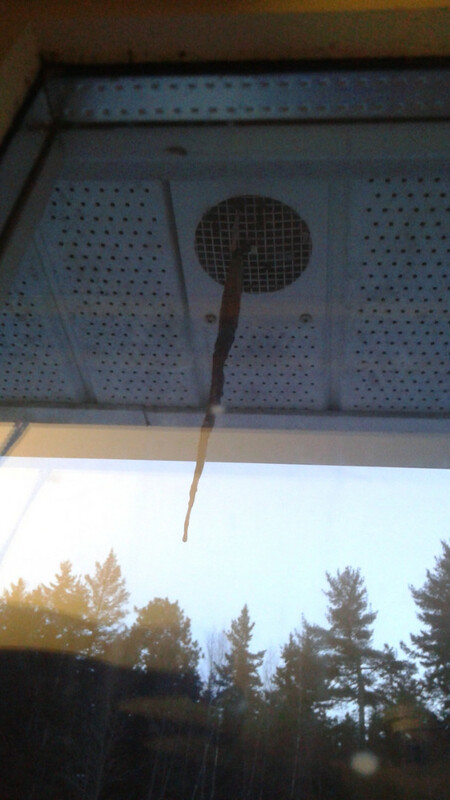 I noticed today a brown icicle coming from one of the soffit vents. It's the first time I've ever seen this in 14 years of living here. We had a huge rain here in my part of Nova Scotia last week where it POURED and then it became cold the following night and day. Is this something I should be worried about? It's got me scared we are going to have water coming into the house through the ceiling once everything gets warm enough to melt! There is no snow or ice on top of the roof anywhere and I don't see any lifted shingles, what's happening here and should I be worried?